This article is from the Atlantic – not exactly a bastion of the political right. It says that although the supporters of affirmative action have good intentions, the actual results are that the policy hurts black students. It hurts them by putting them into schools that are above their ability, so they either end up dropping out, or, they abandon the STEM major that they had wanted in exchange for an easier major. It also talks about how blacks are more likely to have white friends at the school if the school does not have affirmative action, because people tend to choose friends who are of the same academic ability as their own. It also talks about how blacks are happier at schools that don’t have affirmative action because there is never any question as to their qualifications. It also says that the same problems happen with white students who are admitted for athletic reasons, and for legacy admissions too. But most importantly, it says that blacks benefited when UCLA banned affirmative action. After the school ended affirmative action, the number of black freshman was cut in half. However, the number of blacks from these freshman classes who went on to graduate stayed the same. In other words, UCLA’s elimination of affirmative action did not reduce the number of blacks who graduated from UCLA. Instead, UCLA’s elimination of affirmative action only reduced the number of blacks who dropped out of UCLA. So instead of getting admitted to UCLA by affirmative action and then dropping out of UCLA because the work at UCLA was too hard for them, these blacks ended up going to easier colleges, where they were admitted based on merit, so they were capable of doing the work, and so they had a much better chance of graduating. That sentence is in complete agreement with everything that is in the Atlantic article. That one sentence explains how affirmative actions sets blacks up for failure and dropping out by putting them into schools that are too difficult for them. We should get rid of affirmative action, and put blacks into schools that they get into based on merit. That way, they will have a much better chance of graduating. Why racial preferences in college admissions hurt minority students — and shroud the education system in dishonesty. Over time, it has become a political lightning rod and one of our most divisive social policies. It has evolved into a regime of racial preferences at almost all selective schools — preferences so strikingly large and politically unpopular that administrators work hard to conceal them. The largest, most aggressive preferences are usually reserved for upper-middle-class minorities on whom they often inflict significant academic harm, whereas more modest policies that could help working-class and poor people of all races are given short shrift. Academic leaders often find themselves flouting the law and acting in ways that aggravate the worst consequences of large preferences. They have become prisoners of a system that many privately deplore for its often-perverse unintended effects but feel they cannot escape. The single biggest problem in this system — a problem documented by a vast and growing array of research — is the tendency of large preferences to boomerang and harm their intended beneficiaries. Large preferences often place students in environments where they can neither learn nor compete effectively — even though these same students would thrive had they gone to less competitive but still quite good schools. We refer to this problem as “mismatch,” a word that largely explains why, even though blacks are more likely to enter college than are whites with similar backgrounds, they will usually get much lower grades, rank toward the bottom of the class, and far more often drop out. Because of mismatch, racial preference policies often stigmatize minorities, reinforce pernicious stereotypes, and undermine the self-confidence of beneficiaries, rather than creating the diverse racial utopias so often advertised in college campus brochures. The mismatch effect happens when a school extends to a student such a large admissions preference — sometimes because of a student’s athletic prowess or legacy connection to the school, but usually because of the student’s race — that the student finds himself in a class where he has weaker academic preparation than nearly all of his classmates. The student who would flourish at, say, Wake Forest or the University of Richmond, instead finds himself at Duke, where the professors are not teaching at a pace designed for him — they are teaching to the “middle” of the class, introducing terms and concepts at a speed that is unnerving even to the best-prepared student. Wouldn’t you have quickly fallen behind and then continued to fall farther and farther behind as the school year progressed? Now assume that you and the friend who joined you at the bottom of that class were both black and everyone else was Asian or white. How would that have felt? Might you have imagined that this could reinforce in the minds of your classmates the stereotype that blacks are weak students? So we have a terrible confluence of forces putting students in classes for which they aren’t prepared, causing them to lose confidence and underperform even more while, at the same time, consolidating the stereotype that they are inherently poor students. And you can see how at each level there are feedback effects that reinforce the self-doubts of all the students who are struggling. Of course, being surrounded by very able peers can confer benefits, too — the atmosphere may be more intellectually challenging, and one may learn a lot from observing others. We have no reason to think that small preferences are not, on net, beneficial. But contemporary racial preferences used by selective schools — especially those extended to blacks and Native Americans — tend to be extremely large, often amounting to the equivalent of hundreds of SAT points. But in fact it is a largely invisible issue. With striking uniformity, university leaders view discussion of the mismatch problem as a threat to affirmative action and to racial peace on campuses, and therefore a subject to be avoided. They suppress data and even often ostracize faculty who attempt to point out the seriousness of mismatch. (See, for instance, the case of UT professor Lino Graglia, who was condemned by university officials after he observed that black and Mexican-American students were “not academically competitive” with their white peers.) We believe that the willful denial of the mismatch issue is as big a problem as mismatch itself. Throughout these crises, university administrators constantly fed agitation against the preference ban by emphasizing the drop in undergraduate minority admissions. Never did the university point out one overwhelming fact: The total number of black and Hispanic students receiving bachelor’s degrees were the same for the five classes after Prop 209 as for the five classes before. But university officials were unable or unwilling to advertise this fact. They regularly issued statements suggesting that Prop 209’s consequences had caused unalloyed harm to minorities, and they suppressed data on actual student performance. The university never confronted the mismatch problem, and rather than engage in a candid discussion of the true costs and benefits of a ban on preferences, it engineered secret policies to violate Prop 209’s requirement that admissions be colorblind. The odd dynamics behind UCLA’s official behavior exist throughout the contemporary academic world. The quest for racial sensitivity has created environments in which it is not only difficult but downright risky for students and professors, not to mention administrators, to talk about what affirmative action has become and about the nature and effects of large admissions preferences. Simply acknowledging the fact that large preferences exist can trigger accusations that one is insulting or stigmatizing minority groups; suggesting that these preferences have counterproductive effects can lead to the immediate inference that one wants to eliminate or cut back efforts to help minority students. The way racial preferences affect student outcomes is only part of the story. Equally relevant is the way the academic community has proved unequal to the task of reform — showing great resourcefulness in blocking access to information, enforcing homogenous preference policies across institutions, and evading even legal restrictions on the use of preferences. All of this makes the quest for workable reforms — which are most likely to come from the Supreme Court — both more complex and more interesting than one might at first suspect. June 5, 2018. 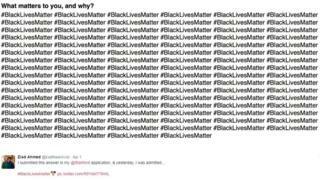 Tags: Affirmative action, african americans, Berkeley, black college students, blacks, california Proposition 209, college admissions, college dropouts, Education, graduation rates, mismatching, Politics, Proposition 209, Racism, UC Berkeley, UCLA. Education, Racism. Leave a comment. A bisexual philosophy grad student has left the University of Texas at San Antonio and transferred to another school after department chair Eve Browning threatened him with possible “academic dismissal” for truthfully saying that there were Muslim-majority countries that executed people for being gay. What this means, in addition to its assault on freedom of speech, is that in the hierarchy of political correctness, Muslims are higher up than gays. October 31, 2017. Tags: Alfred MacDonald, Censorship, Eve Browning, Free speech, Islam, Muslims, Political correctness, Politics, Religion, Social justice warriors, University of Texas at San Antonio. Education, Political correctness, Religion, Social justice warriors. Leave a comment. According to this 2015 article from the Washington Post, Hamtramck, Michigan is the first Muslim majority city in the U.S., and Muslims make up the majority of its city council. At the time the article was published, this Muslim majority city council had done at least two things to force the rest of the city to adopt the Muslim way of life. First, the city council banned business owners within 500 feet of any of the city’s mosques from obtaining a liquor license. Secondly, the city gave all of these mosques an exemption from the city’s noise ordinance, so they can use electronic amplification to loudly broadcast the Muslim call to prayer five times a day, every day. Residents who live near these mosques have complained that this wakes them up at 6 a.m.
Now in 2017, we have something new, a third thing. Hamtramck High School is a public high school in the city. It has just been reported that this government owned, operated, and funded high school will be having a “safe space” prom for Muslim girls, where boys will be banned. The prom was suggested by female Muslim students, who said they wanted to be able to expose their hair without it being seen by boys. The government owned and operated school said OK.
And thus, government sponsored Islamization in the U.S. continues. But what about biological boys who self-identify as girls? Will they be allowed to attend this prom, or will they be banned? So far, I haven’t been able to find any answer to that. May 12, 2017. Tags: Education, Hamtramck, Hamtramck High School, Hamtramck Michigan, Islam, Islamization, LGBT, LGBTQ, Muslims, Political correctness, Politics, Religion, Sexism, Social justice warriors. Education, Islamization, LGBT, Political correctness, Religion, Sexism, Social justice warriors. 7 comments. During the original 1996 broadcast of the “Probability” episode of the TV program “Bill Nye the Science Guy,” there was a segment that explained how a person’s gender is determined by genetics. In 2017, Netflix aired a version of this episode in which this segment had been removed. I don’t know if it was Netflix, Nye himself, or some other party that instigated this censorship. Since YouTube has a nasty habit of removing politically incorrect videos, I’m including links to four videos, all of which have the clip. May 3, 2017. Tags: Bill Nye, Bill Nye the Science Guy, biology, Censorship, Education, gender, genetics, LGBT, LGBTQ, netflix, Political correctness, Politics, Science, Social justice warriors, Transgender. Education, LGBT, Political correctness, Science, Social justice warriors, Television. 1 comment. North Hollywood, Los Ageles (KABC) — Outrage has grown at Walter Reed Middle School in North Hollywood, as the school faces layoffs and increased class sizes due to a law limiting funds for schools with a higher white student body. Parents, however, remain frustrated with what the cuts might mean for their children. “When your class sizes are getting larger and you’re taking resources away from students, I mean ss parents, you do want your kid to go out to college,” one parent, Rosemary Estrada, said. In an attempt to lessen the budget cuts, the district changed the school’s spending formula to one based on the number of students. “Thankfully we’re going to keep our librarian. We’re going to keep our nurse, but we may lose a few teachers, but not as many as we once thought,” said Sheila Edmiston, one student’s parent. Several jobs will still be lost and class sizes could grow. For many parents, the race-based reason of “too many white students” has made the cuts more difficult to swallow. March 28, 2017. Tags: Education, Public education, Public schools, Racism. Education, Racism. 1 comment. My blog has a category called “social justice warriors,” which includes a huge number of examples – many with videos – of the immature, irrational, and absurd behavior of college aged social justice warriors, who oftentimes act like spoiled, crybaby toddlers throwing temper tantrums. I hope the social justice warriors on college campuses will learn a lesson from these fourth graders. March 20, 2017. 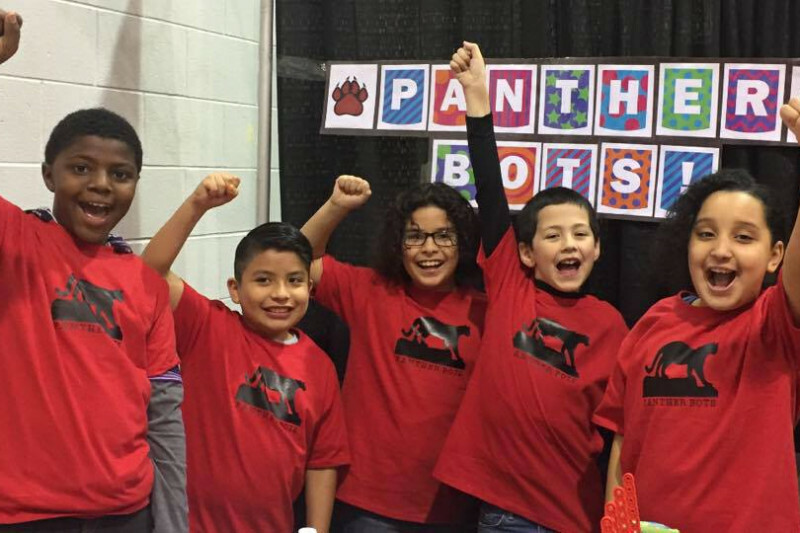 Tags: Education, Panther Bots, Pleasant Run Elementary School, Racism, Robotics, Science, Social justice warriors, STEM, Technology. Education, Racism, Science, Social justice warriors, Technology. 1 comment. In this seven minute video, a physiology (a branch of biology) major at UC Berkeley says that one of her classes had 700 students, there were not enough chairs, she had to stand behind the professor, and so she could not see what the professor was showing on the overhead projector. March 12, 2017. Tags: Education, UC Berkeley. Education. Leave a comment.